This short collection of ghost stories, published by John Murray in 1919 when its author was 84 years old, is firmly in the tradition of M.R. James, the acknowledged master of the genre. As with James’s tales, these stories involve the doomed escapades of amateur (male) antiquaries as they come into contact with a series of haunted or cursed relics, or try to reconstruct past events from old documents. Exceptions are ‘A Romance of the Piccadilly Tube’ and ‘Pepina’, which provide altogether more contemporary hauntings. Jackson is perhaps better-known as a revered architect and this was his sole fictional work. He has left a particular mark on the architecture of Oxford University, having designed the Examination Schools and the famous Bridge of Sighs, as well as large chunks of Hertford College and Brasenose College. 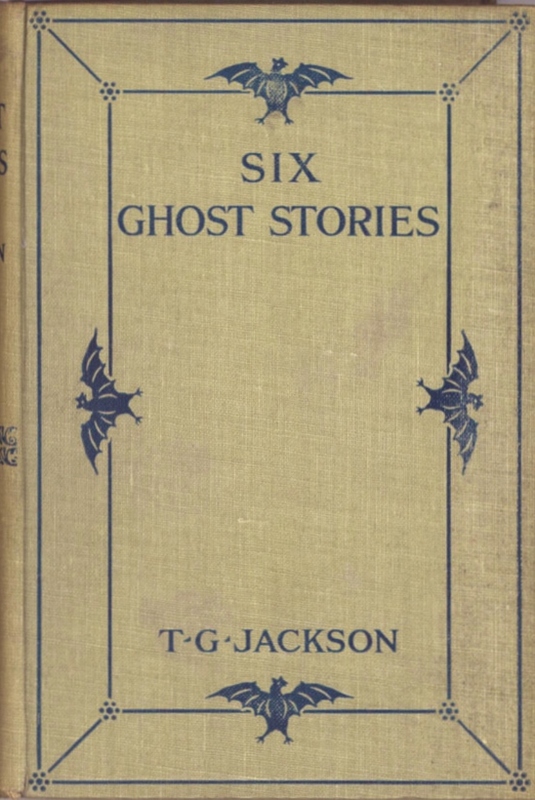 This entry was posted in Ghost Stories, Sir Thomas Graham Jackson (1835-1924) and tagged antiquarian, british, download, ebook, edwardian, epub, free, free ebooks, full text, ghost stories, jackson, kindle, pdf, sir thomas graham jackson, six ghost stories, text on May 31, 2013 by stylesofdying.